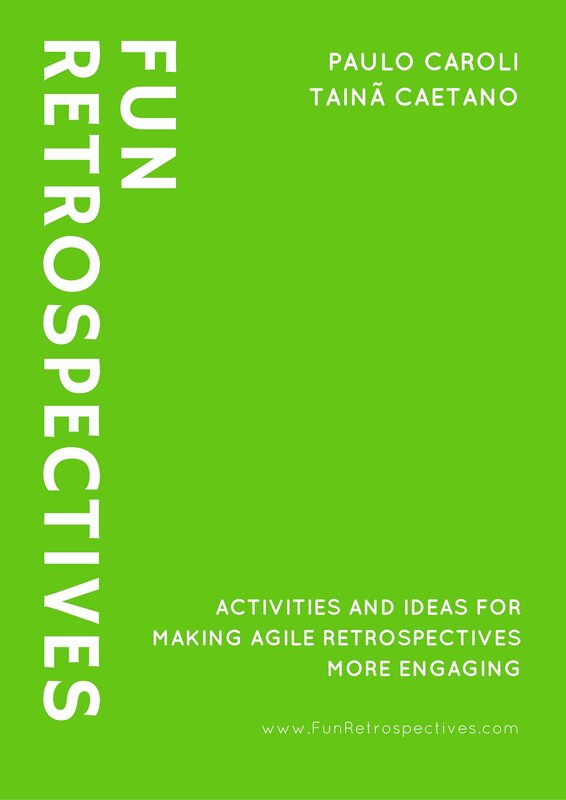 This is a quick activity to measure how participants felt after attending a knowledge sharing session, such as a presentation or a training. 1. 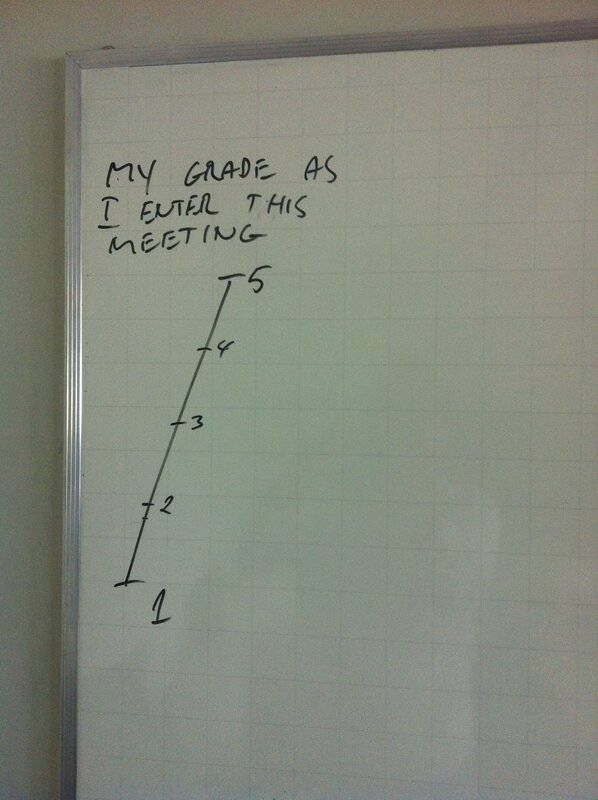 Draw a vertical line with five grades (from one to fine) on it, and write the following sentence on top: “My grade as I enter this meeting“. 2. When the participants enter the room for the given session, ask them to select their place on a scale from 1 to 5, where 1 represents “I don’t know anything about this subject” and 5 represents “I consider myself an expert in this area”. 3. 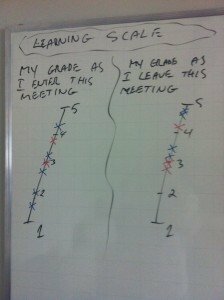 After the session is done, draw a second vertical line with grades and the following sentence: “My grade as I leave this meeting“. 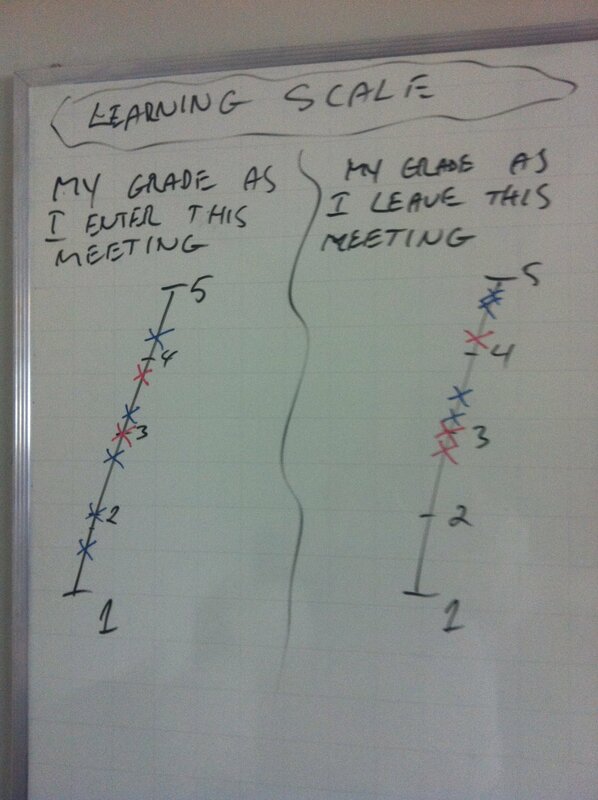 4, Ask the participants to do the same, but in the second grading line. How do you grade yourself on this topic as you enter this meeting? 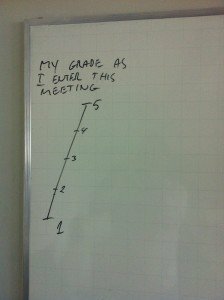 How do you grade yourself on this topic as you leave this meeting? Although this activity is not an accurate measurement of how much the participants effectively learned in that session, it shows how they feel about it. They may have been exposed to how much they still need to learn about that subject, or they may have learned something new and actually improved their knowledge. If there’s no changes in how much they know, that’s an indicator for the presenter to rethink what he is talking about given that audience.